Features an image from a classic The Incredible Hulk comic. The Incredible Hulk is a monster unleashed on this great backpack! Carry your books, papers, school stuff, or anything else in a backpack that looks Marvel-ous! 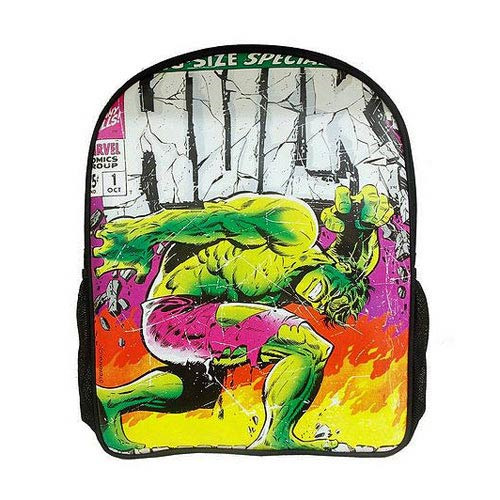 The Hulk Marvel Comics Close Up Collection Backpack features a cool retro Hulk design. It's got an image from a classic Marvel The Incredible Hulk comic book of the Hulk lumbering forth with the words, "This monster unleashed!"